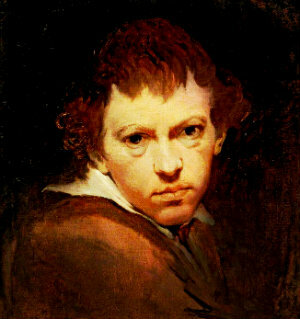 James Barry expressed through his art a belief in rights for the common man and political liberty. Scandalously, he was the only painter ever kicked out of the Royal Academy. The ruling hierarchy despised his controversial views and considered him threat to the political and artistic status quo. Barry ended up in financial ruin until a member of the aristocracy allotted him a generous pension. The period is called neoclassical because its artists looked back to the art and culture of classical Greece and Rome. The spread of Neoclassical Art was primarily inspired by recent roman archeological excavations, including Pompeii and by gay art historian Johann Joachim Winckelmann. Winckelmann wrote about sculptures and architecture from Classical Antiquity thereby encouraging an interest in Greek antiquities. Neoclassical art is characterized by its classical form and structure, clarity, and to an degree, realism. Require more information about the famous Irish Neoclassism James Barry and painters and paintings in art history? Type your query in art into the google search box below and poke around every nook and cranny of the known universe for information this subject.